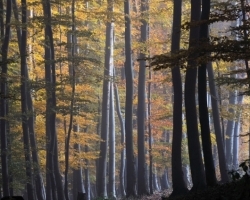 In late autumn day in the Carpathian beech forest met the yellow beech leaves with warm sunshine as in a fairy tale about a golden gem moments. 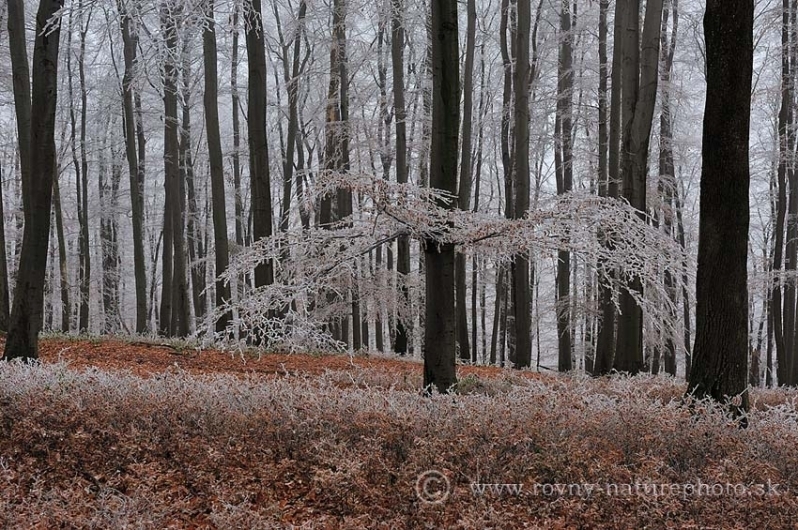 You just have to pause and breathe deeply observe and listen to this amazing show. 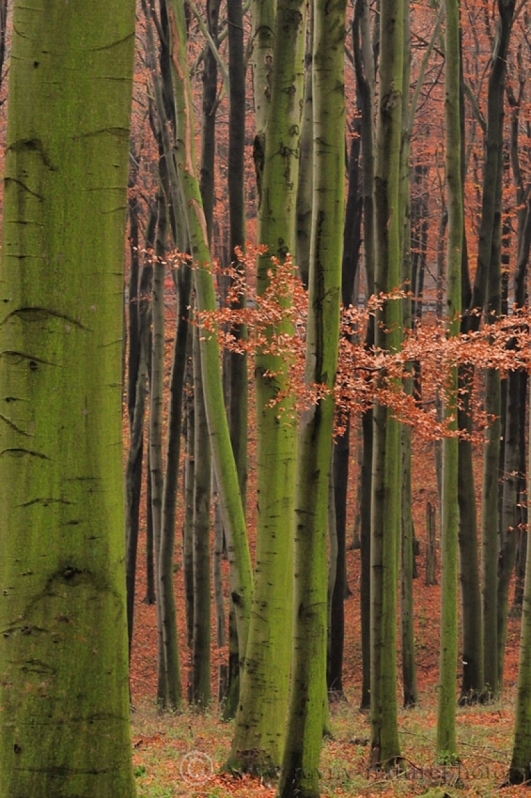 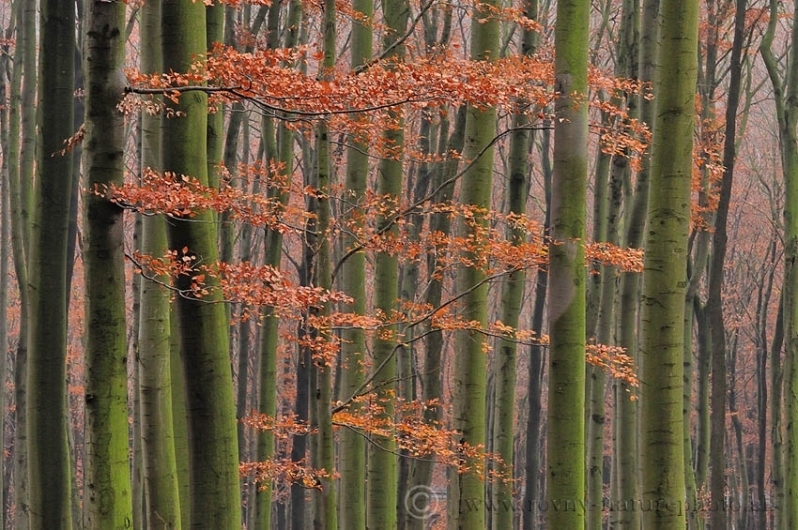 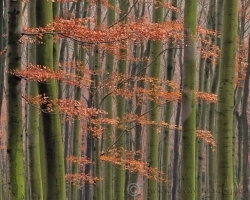 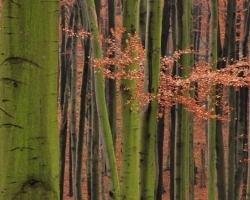 As painted by naughty painter stick green pillars of beech from fallen red leaves to the somewhere up the sky. 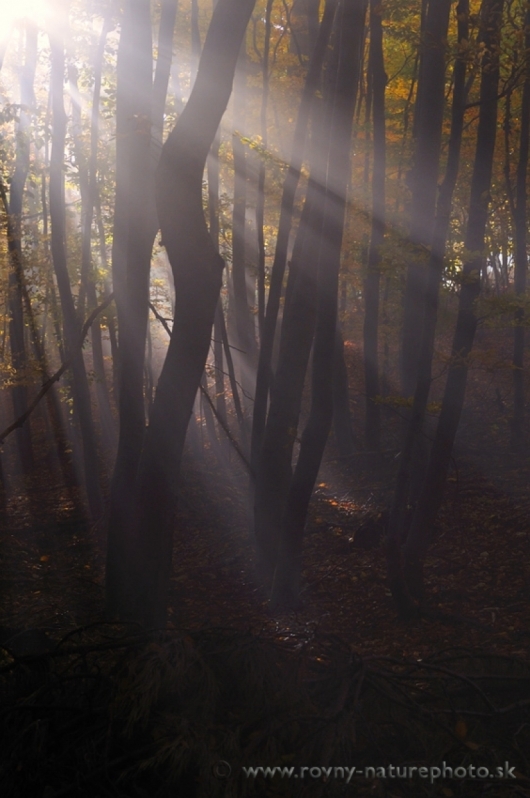 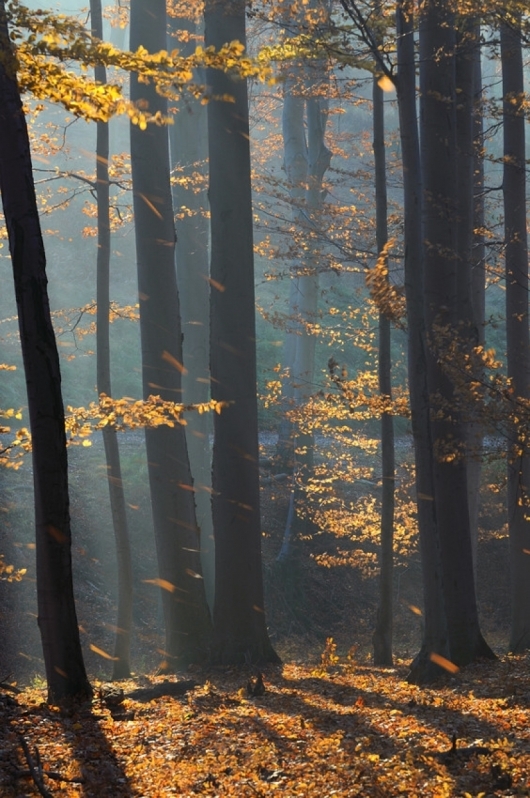 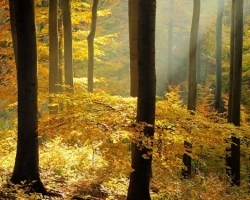 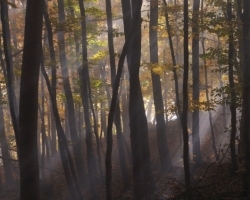 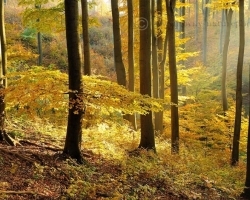 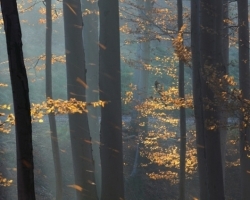 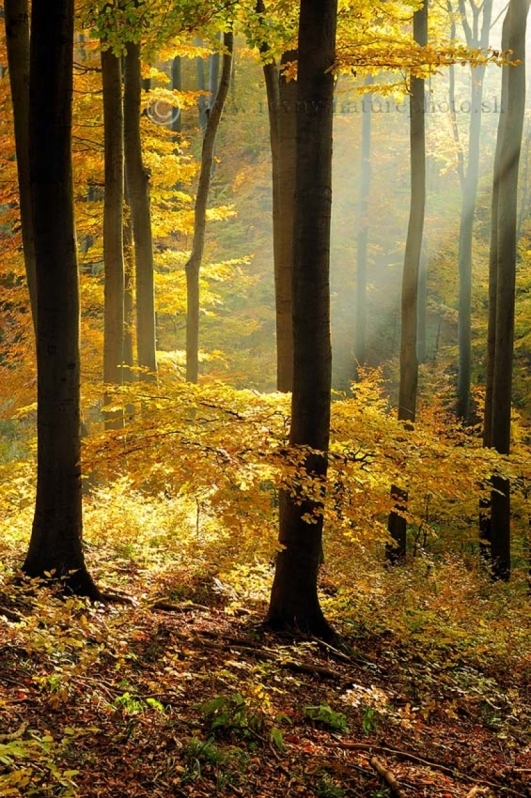 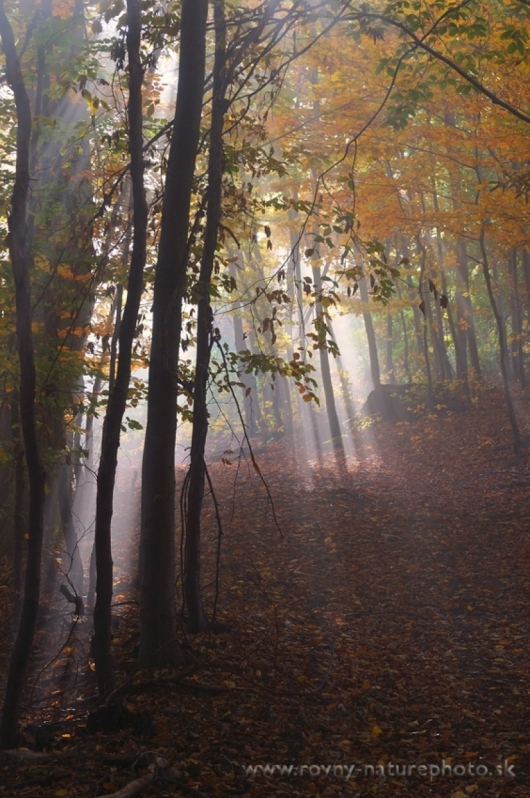 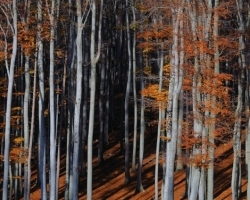 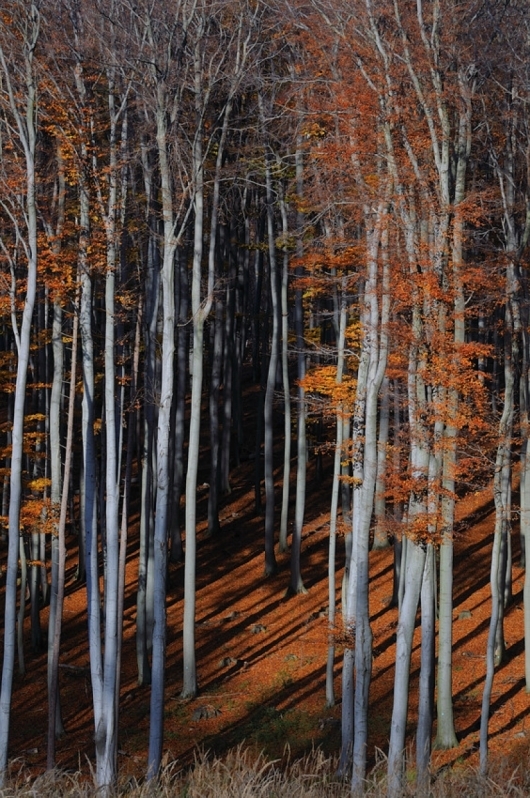 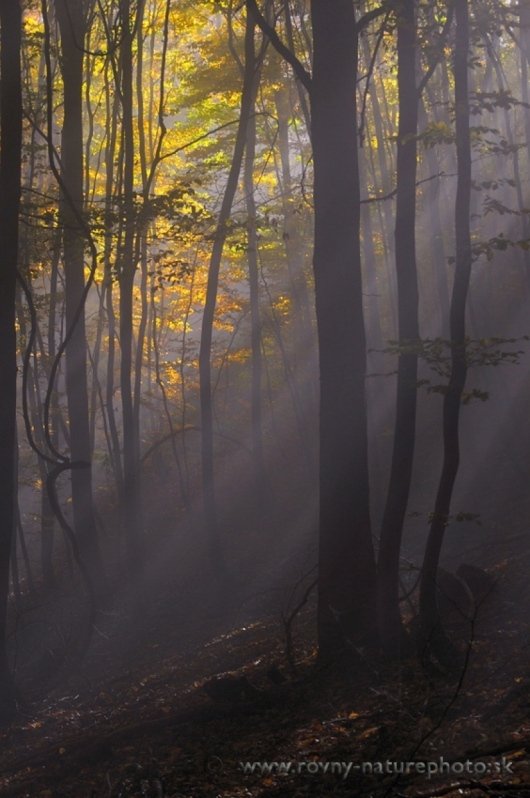 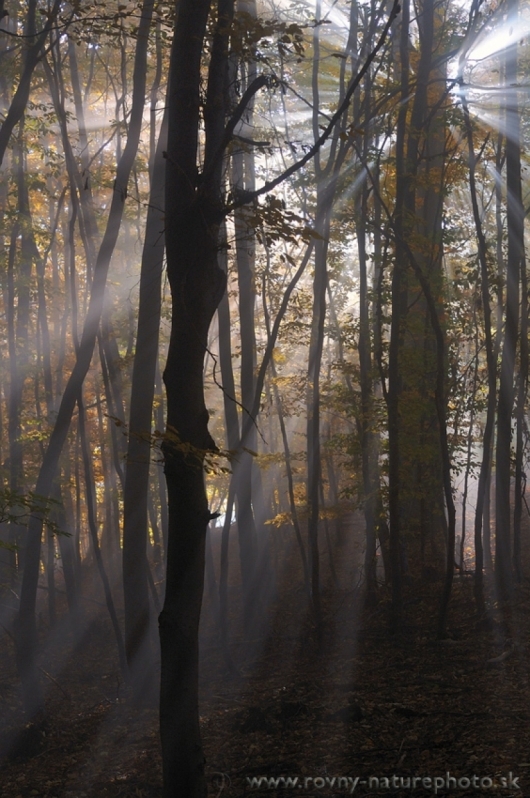 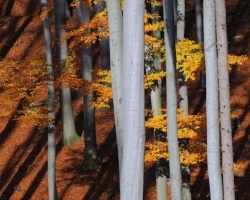 When gold autumn Dust sit on the Carpathian beech forests, there is melted all heat of the summer. 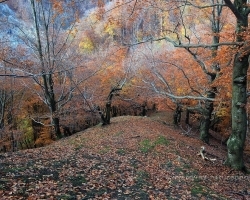 Fallen leaves on the hillside whisper on the air of heated wooded hillsides. 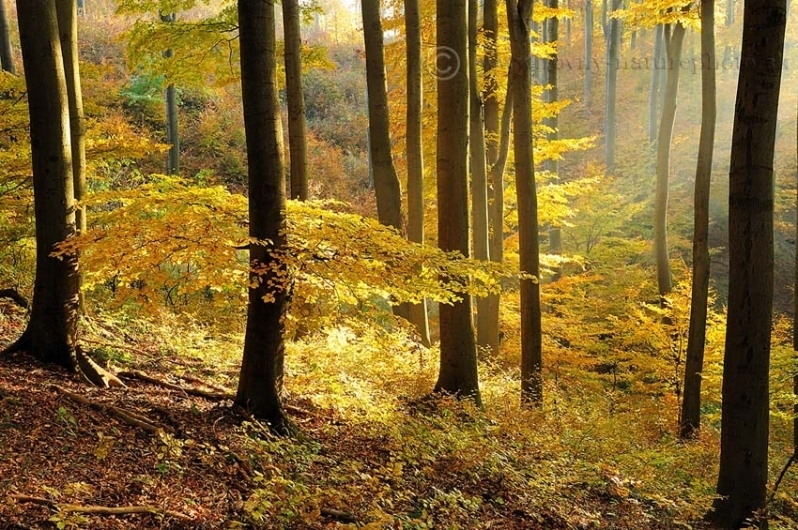 Drives us to lie down under the yellow beech tops and dream color dreams. 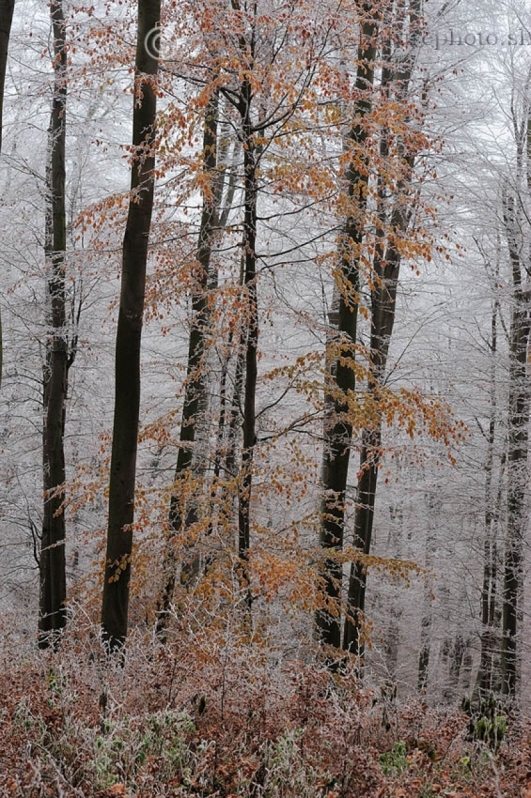 The first frost draws its ornaments in red leaves of sleeping beechs. 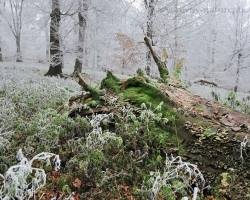 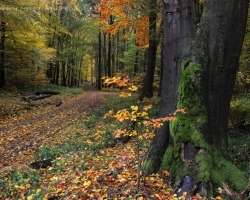 When forest goliath placed on the ground its strong strain, mosses, mushrooms and hundreds of other organisms finish the endless circle of life. 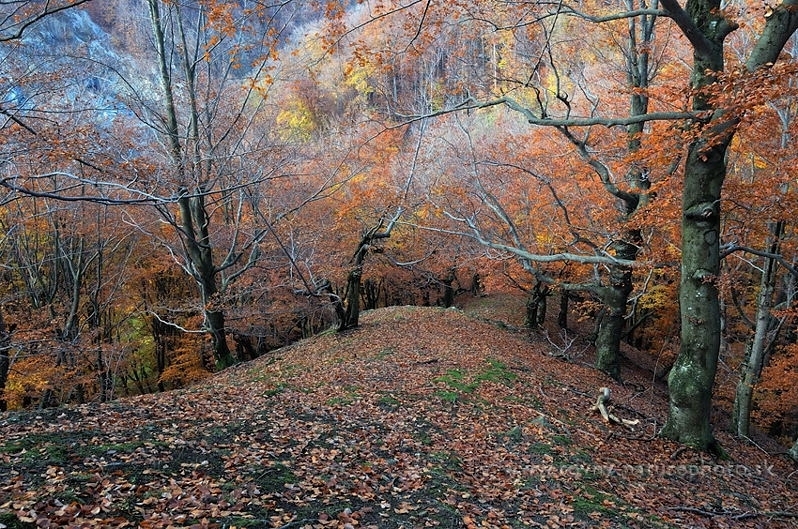 Beautiful, fabulous and a little sad at the same time are the silver paths throgh carpathian meadows. 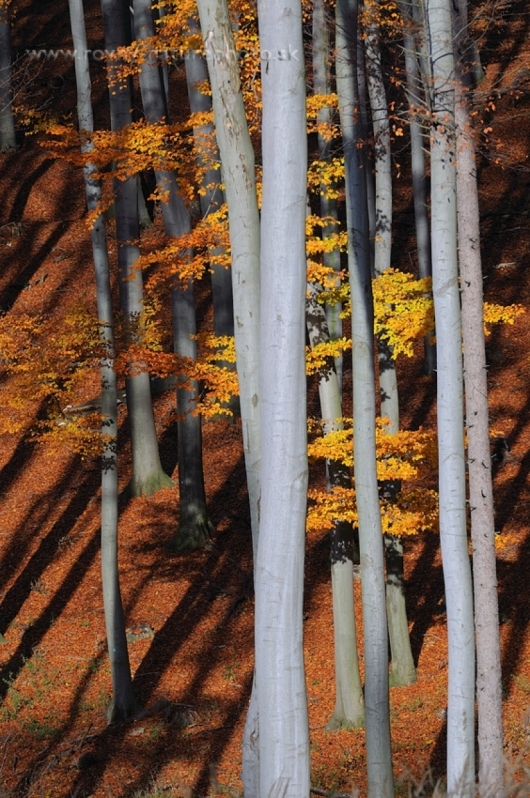 A could autumn morning in the beech. 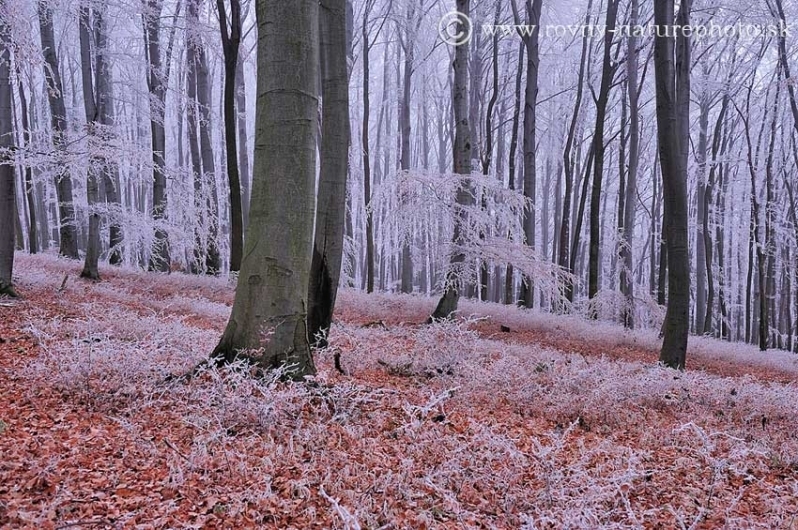 Red leaves at the feet of the trees shining with last autumn colors, and white in the crowns sparkles by the promise of winter. 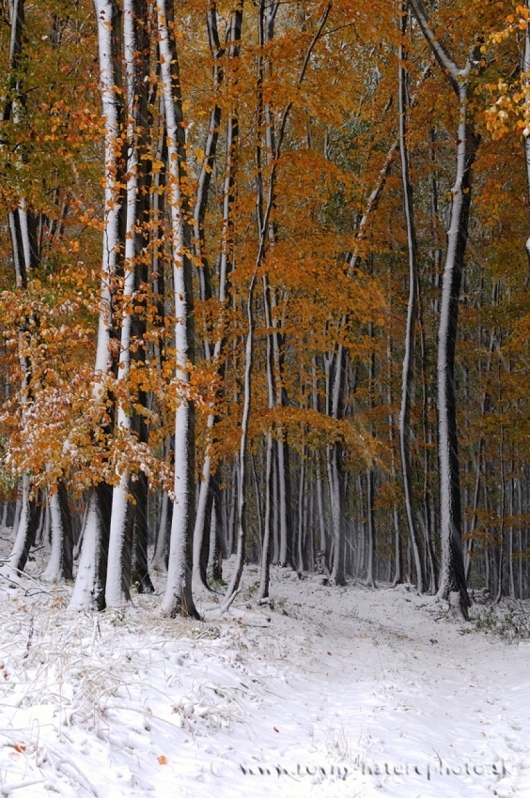 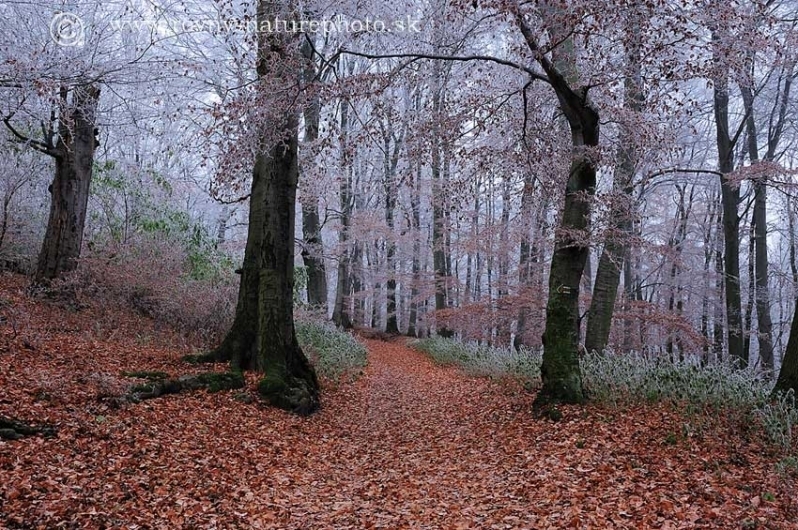 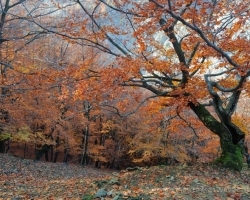 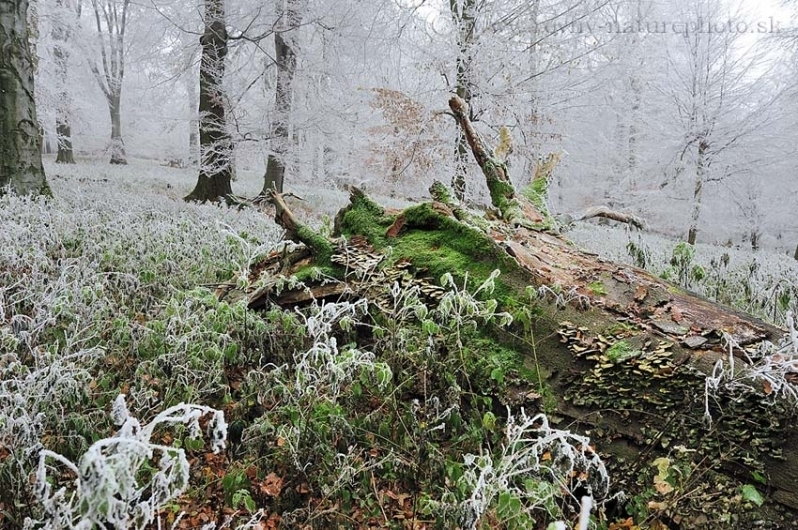 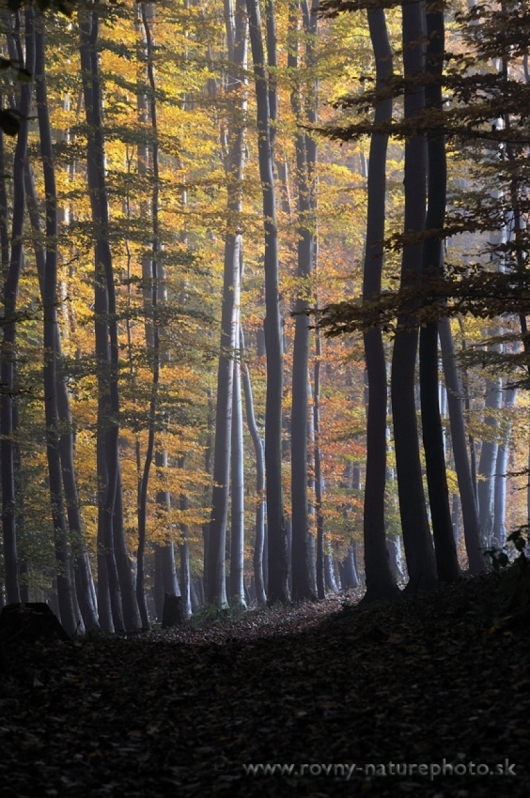 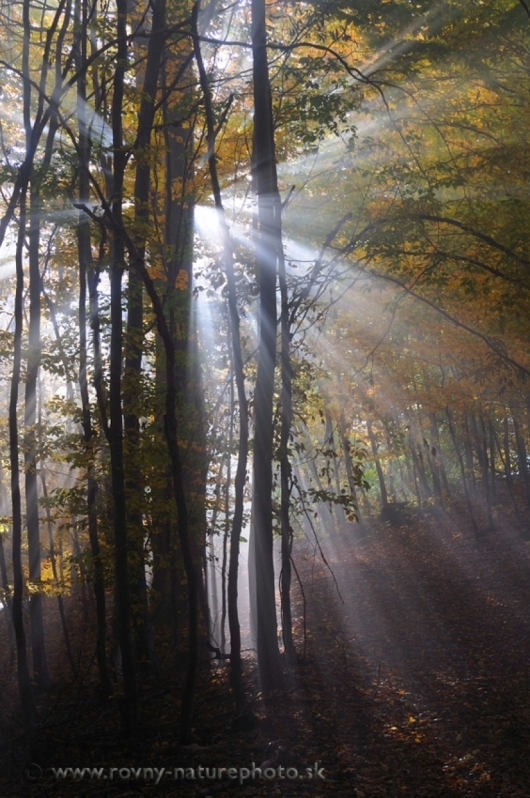 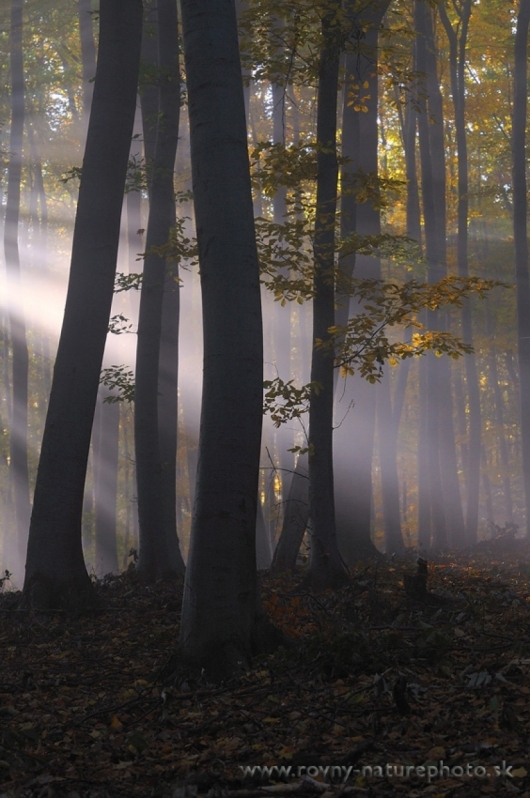 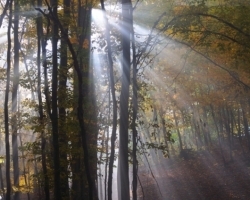 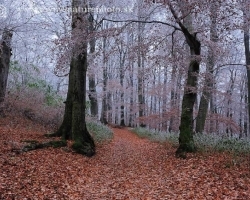 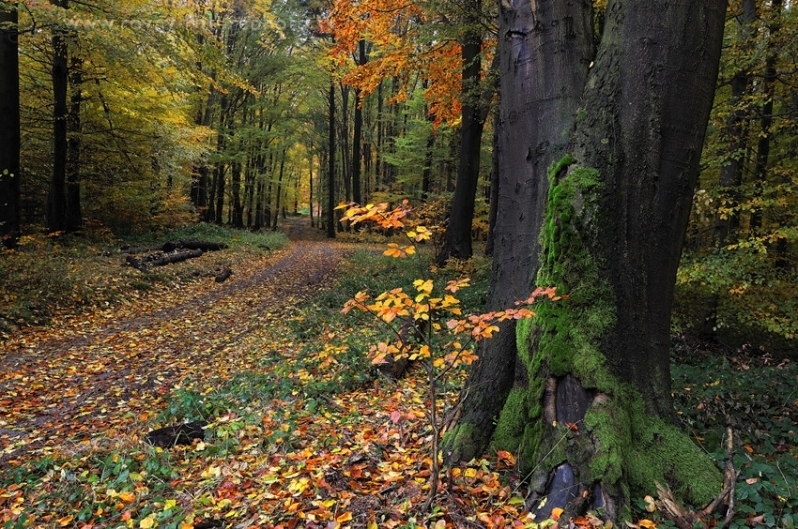 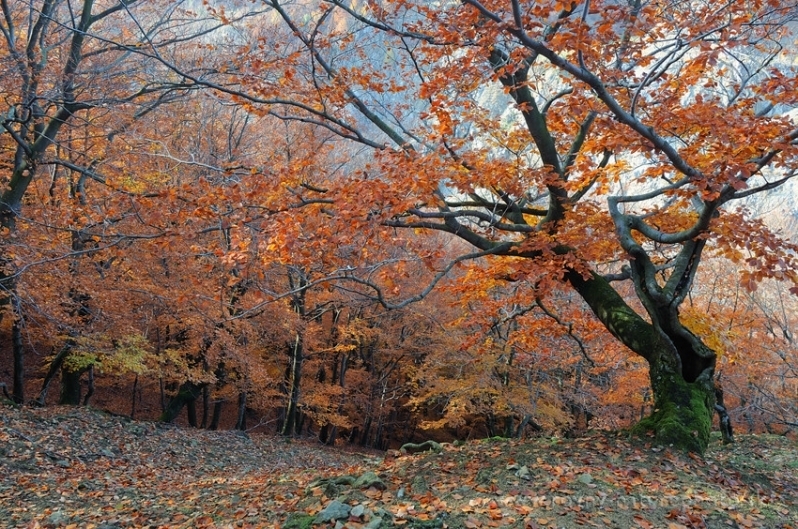 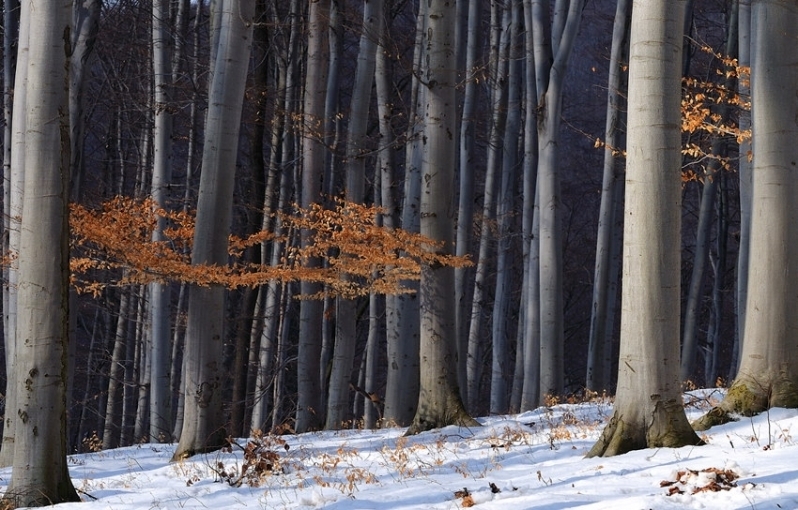 Cold come to the forest by the red carpet of beech leaves, decorate green curtains of grass and sprinkle tree branches. 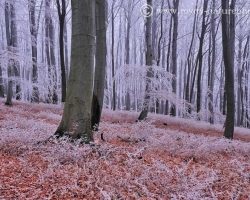 White lace gave to beech forest lightness and delicacy. 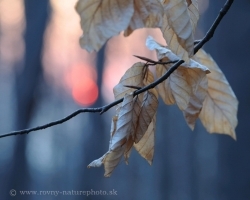 The First cold night scattered lace on autumnal beech forest. 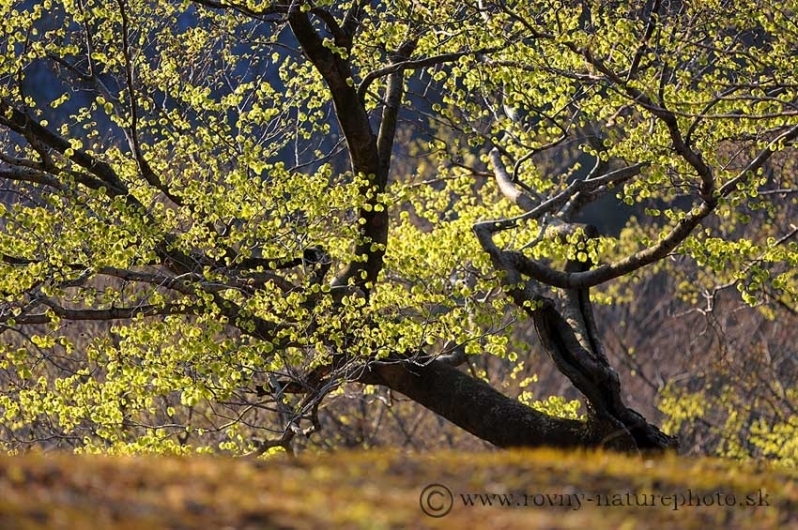 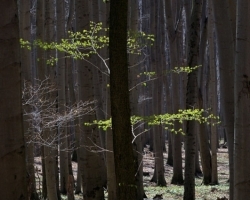 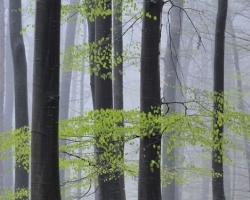 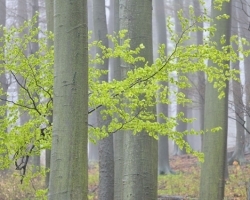 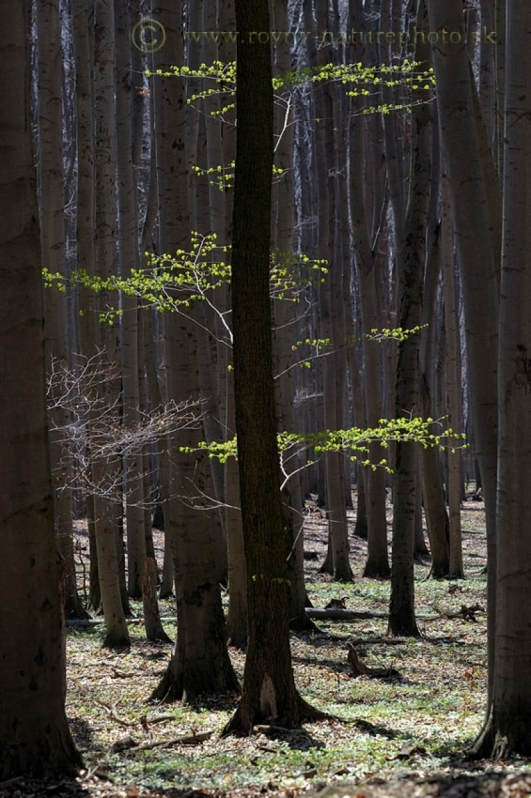 The first spring leaves in beech forest developed only shyly it´s beauty. 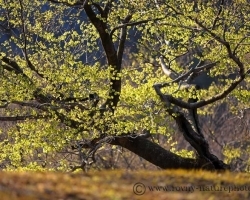 Spring warming - trees opened their first green fireworks. 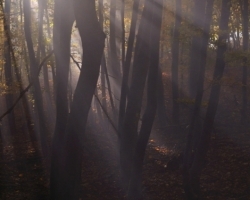 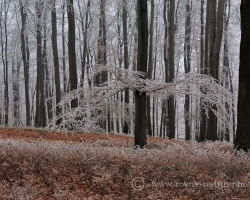 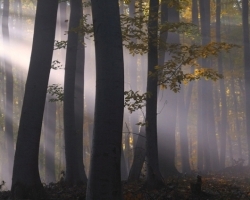 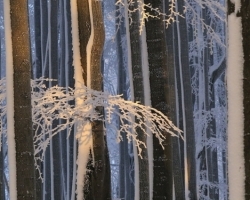 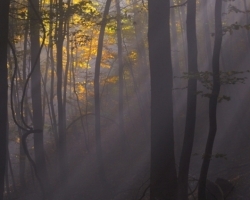 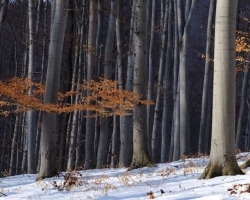 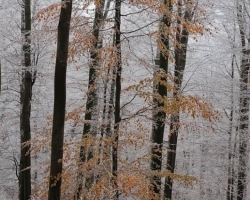 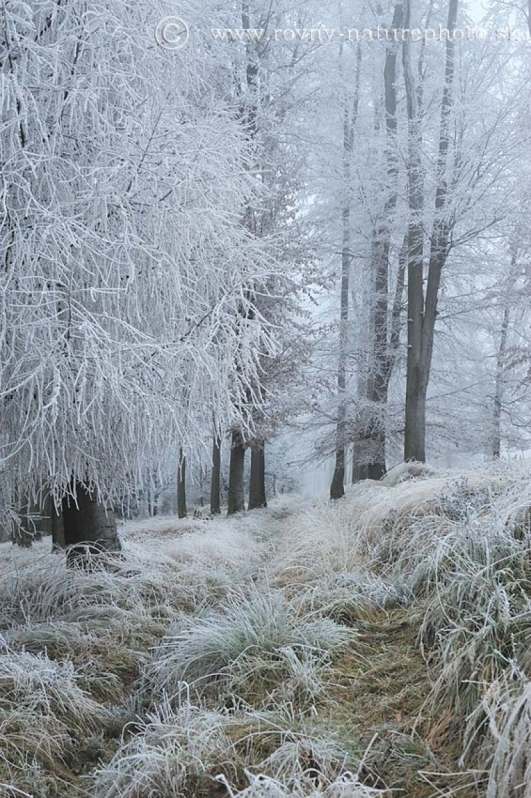 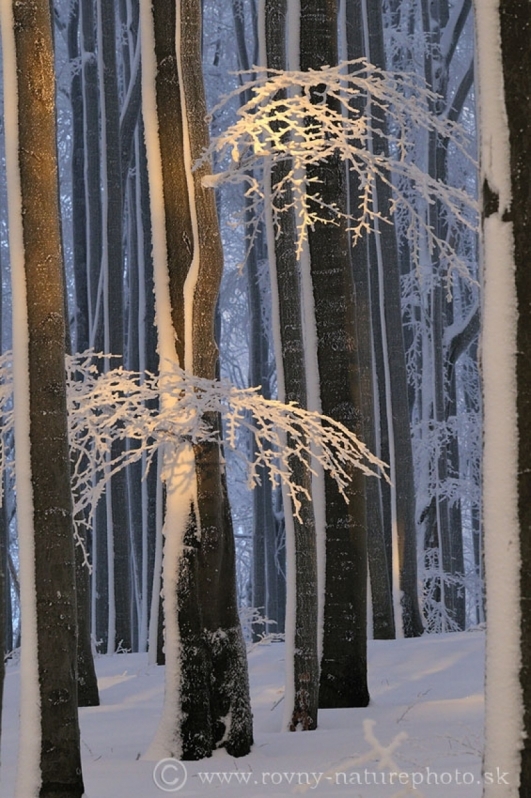 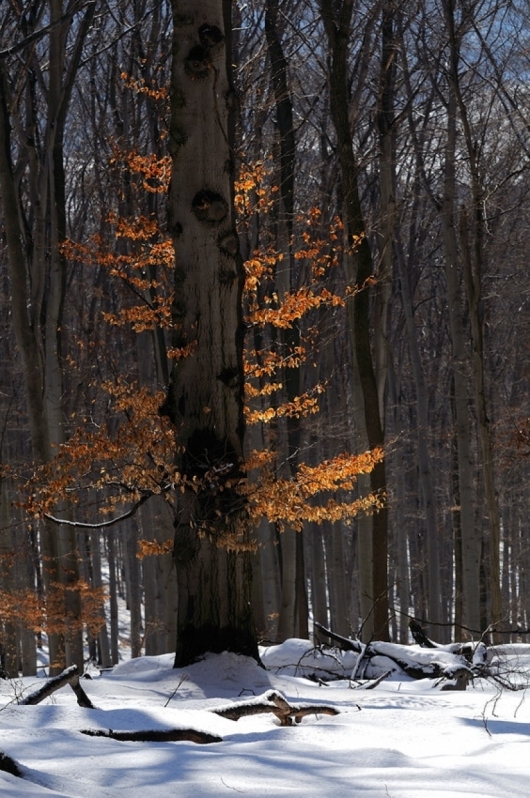 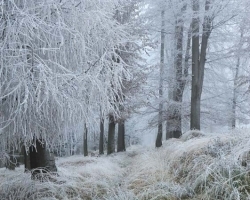 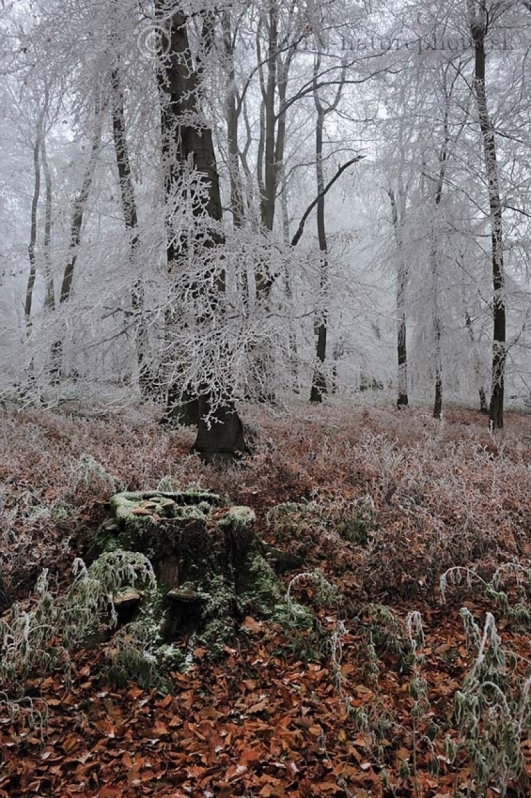 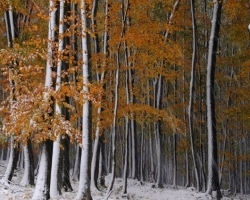 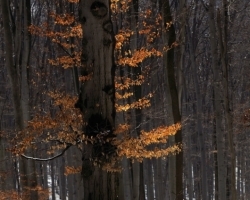 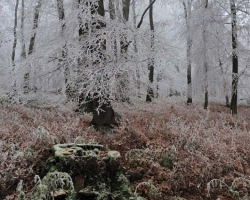 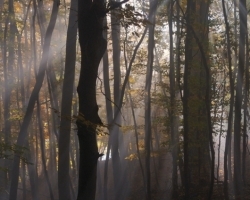 When came winter to the beech forest, frezes also sunshine in the lace of branches. 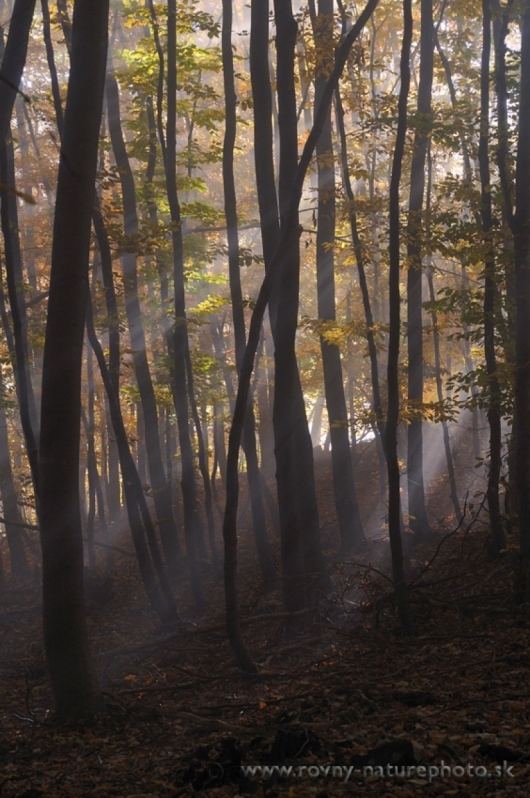 The magic sun make fire on the beech forest also in the winter. 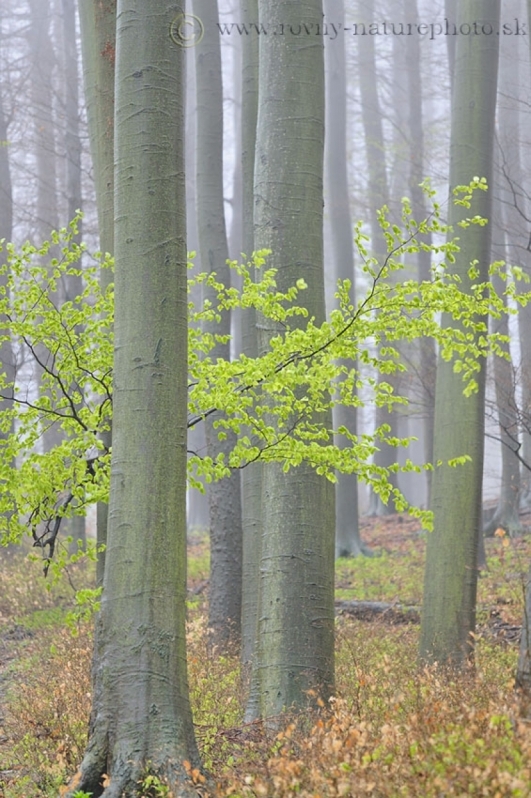 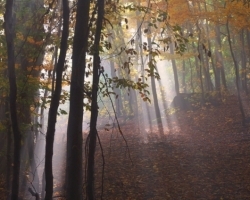 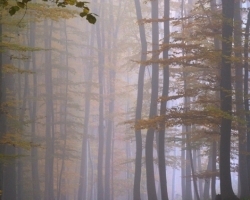 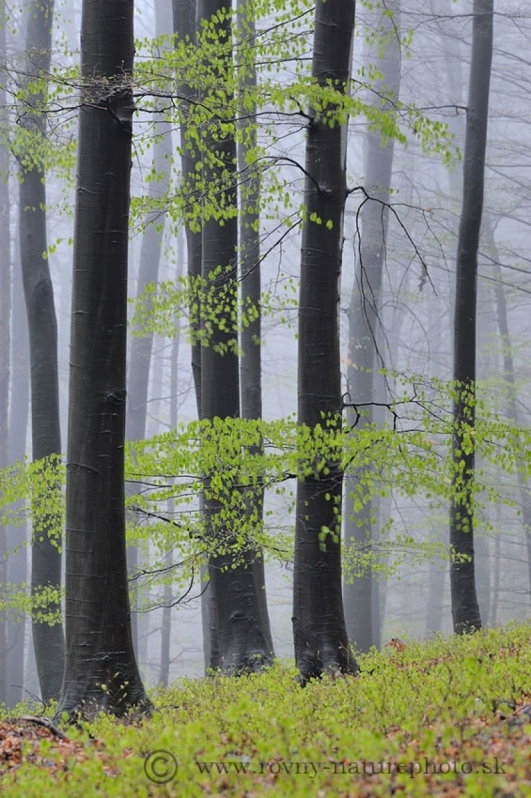 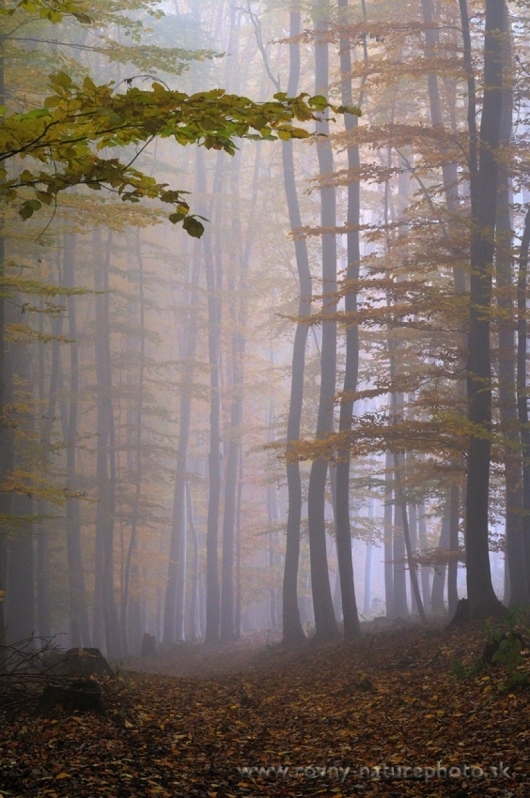 The first warm rain and mist watered the new green lung of beech forest.